I love a good deal. I clip coupons. I shop clearance bins. I buy clothes at the end of the season so that I can take advantage of reduced prices. I even subscribe to blogs that alert me of great deals. So when I can make meals that are so cheap, they’re almost free, I feel virtuous. Free? Well, not entirely. But with a few frugal actions, a few inexpensive pantry ingredients, and a bit of mostly unattended time, a meal (or several) for the family is served. While it’s not the most elegant of meals, to be sure, it’s certainly not lacking in flavor or nutrition. As far as I’m concerned, it ranks right up there in terms of most craveable comfort meals. And it feeds the family easily for well under $10. What is this magical meal? Congee. Or jook, as it is sometimes called. Congee is a rice porridge eaten in many Asian countries, many times, for breakfast. (A practice of which I am quite fond.) 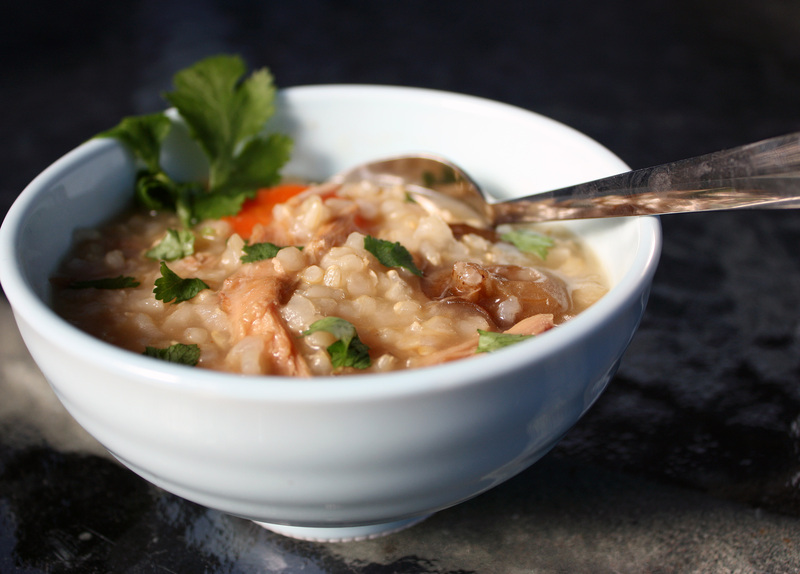 At its simplest, congee is rice simmered with water until the rice breaks down and the porridge becomes thick. 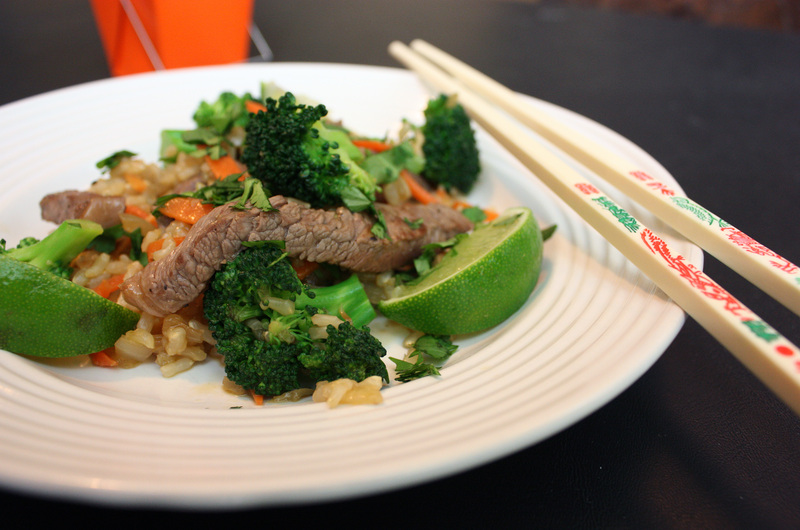 Of course, there are a lot of variations – including adding meat, fish, salted eggs, spring onions, or soy sauce. Regardless of how it’s eaten, it’s a humble, comforting meal, and a great way to stretch a dollar. I first learned of congee from Jaden at Steamy Kitchen. She posted congee as a great way to use up the leftover turkey bones from Thanksgiving. Following her example, I made congee for the first time after this past Thanksgiving, loosely following her steps, and improvising a bit on my own. I was in love. I ate the congee for several days, and froze the rest to bring for lunch during the week. It was such a delicious, belly-warming delight to eat. A few weeks back, after I found some free-range, naturally-raised turkey on sale for $0.99/lb, I immediately knew I would be making congee again. After I’d roasted the turkey, (I used the meat to fill enchiladas, top salads, and fill sandwich wraps) I placed the bones in a few large ziploc bags and froze them. (I do this with chicken carcasses as well to use later for stock.) This weekend, I pulled out the turkey carcass, threw it along with some veggies in a large stockpot, and walked away to do other things. You see, while congee takes some time to prepare, most of that time is hands-off. It’s great for a weekend when you have other tasks around the house – it just sits there, happily simmering away, while you go about your business. Just how is this dish nearly free? First of all, most of us simply throw away turkey (or chicken) bones when we’ve finished roasting and eating. This makes these bones almost like they’re a free ingredient, as you’ve put something that was previously “garbage” to use! As for the remaining ingredients, the rice used in this dish might cost $0.75, and the onion, carrots, and celery, another $2-3. (If you also save carrot ends, peelings, and celery tops for stock – you can simply throw these all together in a ziploc whenever you have them, and place in the freezer – then these can be considered “free” too and can be used here.) The dried shrimp might be an additional cost, but they’re relatively inexpensive, as are the rest of the pantry ingredients. For me, these are all items that I keep on hand, so I spent next to nothing to throw this dish together. I’d estimate the cost for the ingredients at around $6 for the entire recipe, which means each serving is less than $1. Definitely a good deal! This time around, I opted to include dried shrimp, which enhanced the “umami” flavor of the porridge, and I used brown rice to boost the nutritional value of the dish, allowing me to enjoy it for breakfast guilt-free. You certainly can change up or omit these types of ingredients as you see fit – congee is a dish that begs to be personalized. After my congee simmered for a good long while, a taste test confirmed my hopes – this porridge, while humble, was viscous, creamy, and warmly satisfying. After eating a few more spoonfuls (I had to double and triple-check the flavor, after all! ), I packed the rest away for breakfast and/or lunches. I can imagine it already, with a squirt of Sriracha and a preserved duck egg. Yum. It’s gonna be a good week! You don’t have to wait until turkey “season” to make this – if you roast chickens (or even if you buy rotisserie chickens), simply save up a few of the carcasses. I would imagine 3 leftover chicken carcasses would work perfectly here. Put the carcass in a large stockpot. (You may have to break it up a little to make it fit) Add the next 6 ingredients and bring to a boil. (It’s okay if the water doesn’t completely cover everything.) Reduce to a simmer and allow to cook, covered with a tight-fitting lid, for 2 hours. Strain into a bowl to remove bones and solids, and pick the meat from the bones. Add meat back into the strained stock, along with the mushrooms, dried scallops/shrimp, wine, rice, fish sauce, sesame oil, soy sauce, and carrots. Bring to a boil again and reduce to a simmer, partially covered. Allow to cook for 2 hours or more, until the rice breaks down and the entire dish becomes thick. Adjust fish sauce and soy sauce to taste, and garnish with cilantro as desired. Serves 8. This month’s Daring Bakers Challenge was hosted by two of the most talented bakers I’ve seen in the blogosphere: Aparna of My Diverse Kitchen and Deeba of Passionate About Baking. And what a doozy of a challenge this was! Not only did we have to make tiramisu, but we had to make the mascarpone cheese and the ladyfingers from scratch! (Of course, I’d have to make ladyfingers from scratch regardless; I’ve yet to come across gluten-free ladyfingers in the store.) This was definitely an exciting (albeit a bit daunting) challenge. I am so glad it was chosen: I had only tried tiramisu once before, and wasn’t too impressed with it. I was chatting with a friend of mine about this (as I know she loves tiramisu), and she told me that I just must have eaten tiramisu at the wrong place, because it’s the most amazing thing ever. You know what? She was right. This dessert is the perfect pick-me-up. Both decadent and light at the same time, rich, but not too rich, with such a layer of complex, yet seemingly simple flavors. It was delightful. Aparna and Deeba definitely know how to choose a good dessert. I had to take most of my creation to the office to share, lest I be tempted to eat the whole thing. It was that amazing. Prior to this challenge, I’d never made cheese of any variety. Not sure why I waited so long. Making mascarpone, while it takes a bit of time, is SO simple. I’m now inspired to move on to other fresh cheeses – the mascarpone set up so deliciously thick and creamy, it far surpasses store-bought. I can only imagine how a freshly-made ricotta or goat cheese would taste. As for the ladyfingers, I followed a gluten-free recipe from The Art of Gluten-Free Cooking. I was a bit concerned when my batter was rather thin (I think my eggs were a bit too cold, and the whipped egg whites didn’t stiffen as much as they should have), but I pressed on. The resulting cookies were a bit thin, but they were deliciously crisp, with a slightly soft center. 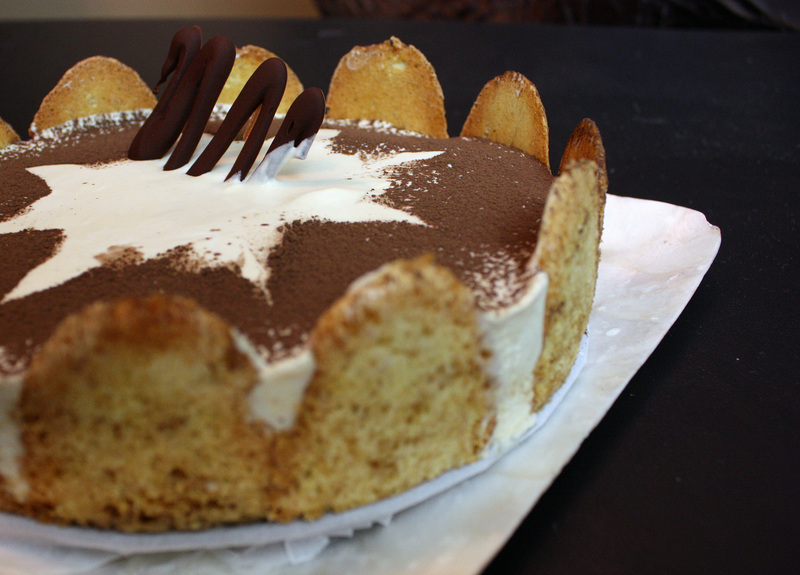 In the tiramisu, they performed beautifully – they didn’t fall apart or get extremely soggy. Heaven. While it was a bit of work, I’d definitely make tiramisu again – likely for special occasions. (to the family: put in your birthday requests now!) It was definitely worth the time and effort. Note: If you choose to make this, allow yourself enough time for preparation. The mascarpone needs to be made a day in advance, and the zabaglione and pastry cream need 4 hours to chill. Your ladyfingers will also need to be completely cool before you assemble the tiramisu. (I made my cheese two days in advance, and made the zabaglione and pastry cream the day before.) Enjoy! Bring 1 inch of water to boil in a large skillet. Reduce the heat to medium. Pour the cream in a medium stainless steel bowl and place in the simmering water. Heat the cream, stirring often, until it reaches 190 degrees (this will take some time). Add the lemon juice and continue stirring until the cream curdles. (You won’t see actual “curds”, but it will get a lot thicker, coating the back of a spoon.) Remove the bowl from the water and allow to cool for 20 minutes. Meanwhile, line a fine-meshed sieve with 4 layers of dampened cheesecloth and place over a bowl. When cool, pour the cream mixture into the sieve. 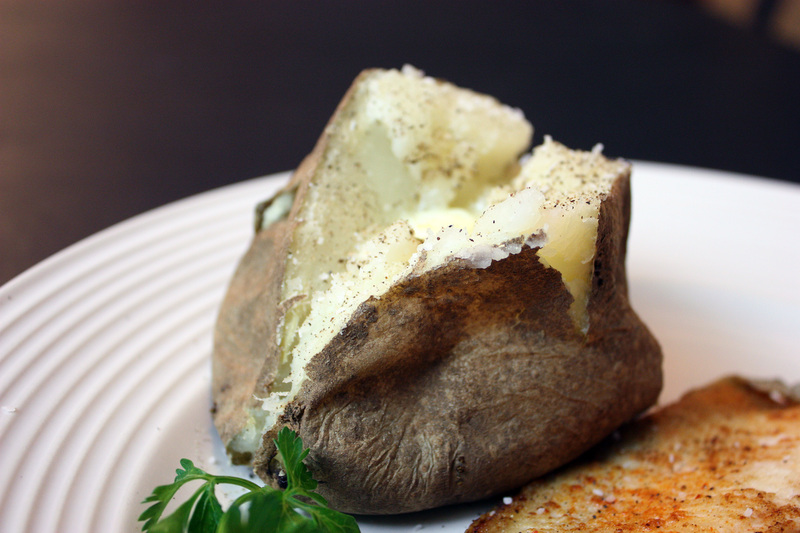 Once cooled completely, cover with plastic wrap and refrigerate for at least 24 hours. Keep refrigerated and use within 3-4 days. Line 2 baking pans with parchment paper and set aside. Preheat the oven to 350 degrees. Whisk the egg yolks with 1/2 cup of the sugar until creamy and the yolk falls from the whisk in ribbons. Stir in the vanilla. Set aside. Beat the egg whites until stiff and add the remaining tablespoon of sugar and whisk for about 30 seconds, making sure the egg whites cast off a glossy sheen. Pipe fingers that are about 4 inches long and 1 1/2 inches wide on your parchment-lined baking sheets. Dust tops with confectioner’s sugar. Place the sheets in the upper and lower thirds of the oven and bake for about 10 minutes. Switch the baking sheets and bake for another 10 minutes or until ladyfingers are lightly golden on the edges. Transfer to a rack to cool completely. Makes 1-2 dozen ladyfingers. Mix together the warm espresso, rum and sugar in a shallow dish, whisking to mix well. Set aside to cool. If you ask people what their favorite comfort food is, chances are, macaroni and cheese will be one of the most popular. And why not? Macaroni and cheese is creamy, cheesy, and at its best, baked with a bit of crunch on the top. It soothes our souls and makes for happy bellies. The popularity of macaroni and cheese is proven by the countless variations offered at restaurants all across the country. The Wisconsin Milk Marketing Board recognizes this, and so when they approached me to contribute to their new blog, 30 Days 30 Ways with Macaroni and Cheese, how could I say no? But when you’re following a gluten-free diet, macaroni and cheese is not something so easily acquired. Since going on a gluten-free diet, I have not had the joy and comfort that comes from this humble dish. At times, memories of Luby’s creamy macaroni haunted me. (If you lived in Texas for any length of time, you’ll know what I’m talking about. Luby’s may not be the finest of dining establishments, but they have some of the creamiest macaroni and cheese. I’ve loved it since I was a kid.) Well, the pining stops here. 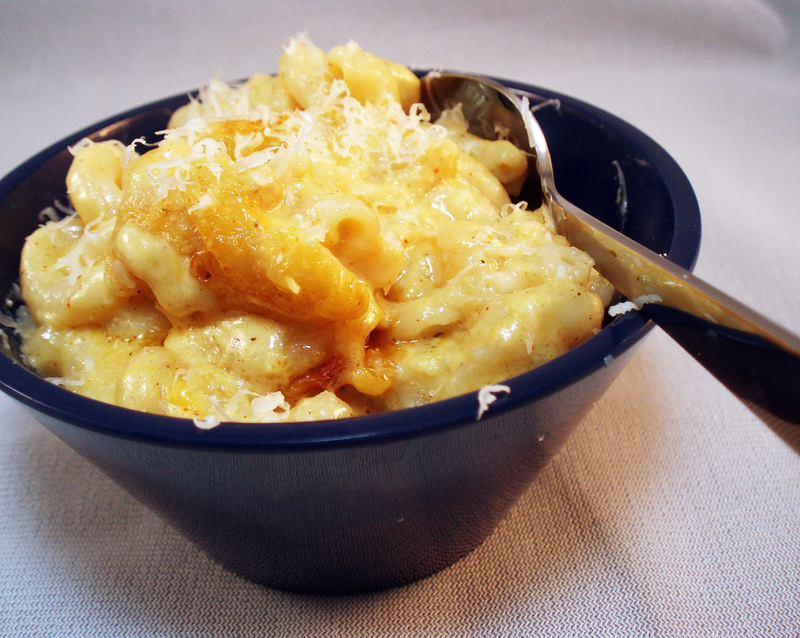 Meet gluten-free macaroni and cheese, made simple by my best pasta friend, Tinkyada. Of course, you can use any gluten-free pasta that you choose – I just love Tinkyada’s brown rice pasta because it doesn’t turn mushy. And since it’s made from brown rice, I’m getting a bit of fiber into the dish. (Not to say that this is health food – it’s still macaroni and cheese, after all!) And no, Tinkyada isn’t paying me to tell you about all of this – I just love their products. This Parmesan macaroni and cheese is relatively straightforward. Of course, if you choose, you can add ingredients to your liking – bacon, chopped tomatoes, or other cheeses would all be welcomed here. We have a tendency to be purists in our home when it comes to macaroni and cheese, so we opted to keep it simple. And let me tell you – simple was delicious! Cook the pasta as directed on package, removing from water 2-3 minutes early, so that the pasta is very firm. Drain. Preheat the oven to 350 degrees. Butter a large baking dish. In a large, heavy pot, melt the butter over medium-low heat, and pour in the tapioca starch.Whisk constantly, for 2-3 minutes, or until light brown. (Do not let it burn.) Pour in the milk, and add the mustard and paprika. Whisk until smooth, and cook, whisking constantly, until very thick. Reduce heat to low. Pour about 1/4 cup of the thickened sauce into the egg and whisk constantly to avoid the cooking the egg. Pour egg mixture into sauce, and whisk in all but about 1/2 cup of the cheddar and 1/2 cup of the Parmesan. Stir until melted. Season with salt and pepper, tasting to adjust as needed. Pour in the pasta and stir to combine. Place into prepared baking dish and sprinkle with remaining cheeses. Bake, uncovered, for 25 minutes or until sufficiently browned. If I had dreams about perfect gluten-free pancakes, these would be those pancakes. Crispy edges, fluffy interiors, and a gorgeous yellow hue – these are indeed the stuff of dreams. Normally, I’m not a big pancake person. I prefer savory breakfasts, and a sticky-sweet start to my morning is just too much. Thankfully, these pancakes aren’t sticky-sweet. In fact, they would be just as comfortable in a savory setting (cornmeal pancake-sausage-egg breakfast sandwich, anyone?) as they were served with real maple syrup (none of that corn syrupy fake stuff for me, thank you! ), blackberries (yes, I realize it’s not blackberry season – I fell victim to some not-so-local ones at the grocery! ), and some maple-orange butter. Hungry yet? These will definitely become a regular for our weekend breakfasts. They’re the best gluten-free pancake I’ve ever encountered. Just so you know, the batter for these is thicker than most pancake batters. The best way to pour the batter is to use a measuring cup, and spread out the pancake slightly with the bottom of the measuring cup each time. I actually preferred these thick – they were fluffy inside with a lovely crust outside. Yum. This recipe was designed to feed John and me this morning – so feel free to double or triple it to feed a larger crowd. Beat eggs in a large bowl until well-blended and frothy. Add buttermilk, cornmeal, masa harina, tapioca starch, xanthan gum, sugar, and salt and blend. Add melted butter and stir to blend. Heat a nonstick skillet to medium heat and add 1 tablespoon of butter. Swirl to melt. 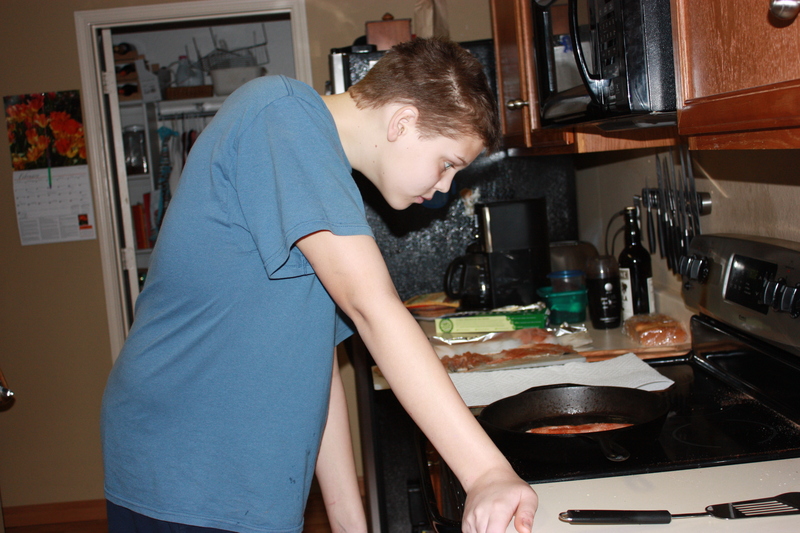 Working in batches, pour ¼ cup of batter into skillet. Cook until pancakes are golden brown on bottom, about 2-3 minutes. Flip and cook for another 2-3 minutes. Transfer to a plate or baking sheet and keep warm (I use the “warm” setting in my oven). Repeat this process, adding more butter to the pan as necessary. 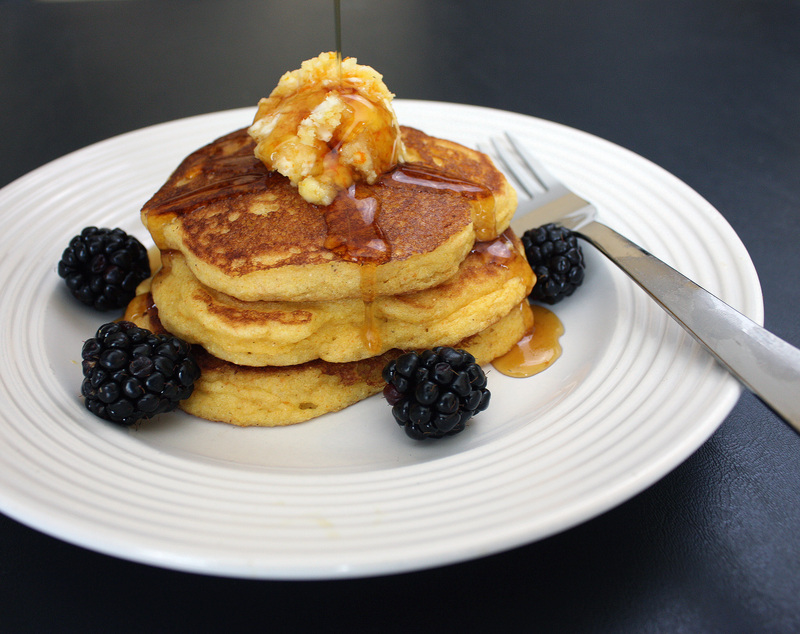 Serve with blackberries, maple-orange butter, and additional maple syrup if desired. Serves 2-3. Mix together all ingredients in a small bowl. Can be refrigerated for up to a week. My husband and I are fortunate enough to have good friends that live just a few miles from us. Lately, we’ve been enjoying one another’s company by cooking together. We wanted to have a “Greek night” together, so it was perfect that the Daring Cooks challenge for February was to create a mezze. Michele of Veggie Num Nums was our host for this month’s challenge, and what a great job she did! A mezze is perfect food for a crowd – everyone can pick at every component of the meal, munch, and customize as they please. We were required to create pita breads and hummus, and we could add any additional recipes we chose. I went with falafel and cucumber raita, (two recipes Michele also shared with us) baba ganoush, and lamb kofte with muhammara. It was a feast! Unfortunately, my gluten-free pitas did not turn out as beautifully as hoped. 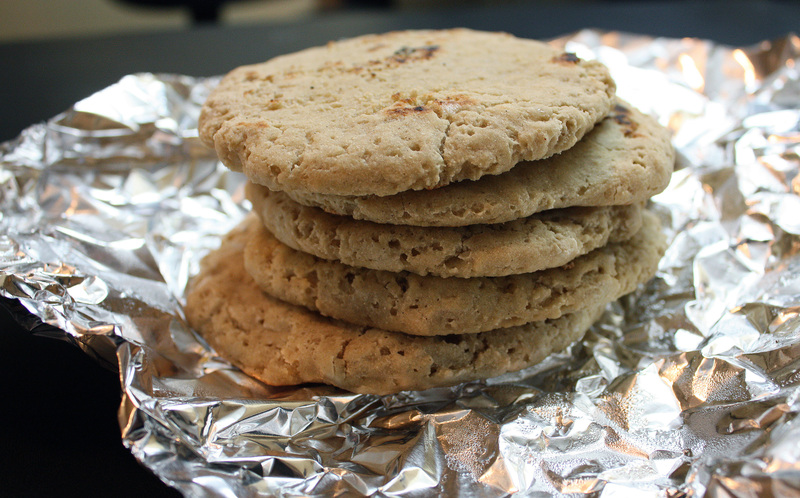 They were edible, but the texture was so different from what I remember from wheat pitas. Even more unfortunate – I saved the recipe I created on my hard drive. That very same hard drive that went “kaput” that night. So I did my best to re-create my steps below – but follow this recipe at your own risk! It was touchy even if I’ve documented it correctly, and could use some tweaking. I did eat my pitas, however, dipping in baba ganoush and hummus. Yum. Everything else, however, was delicious. I’d never cooked dried chickpeas before (yes, I realize that might be weird.). Honestly, I’m not much of a chickpea fan (except in hummus), so if I buy them at all, I opt for the canned variety. Soaking and cooking from dried is MUCH better! The peas are much more tender, but not at all mushy. And they blended beautifully in the hummus, which was silky smooth. My personal favorite of the night, however, was the baba ganoush. I’ve made that baba ganoush several times over the past few months, and I fall more in love with it each time. With a large plate of baby carrots, I could finish off a bowl of it by myself. It’s that good. My second favorite was the muhammara that went with the meatballs. I could envision using that on other cuts of meat – muhammara-glazed skirt steak, maybe? It was so easy to make, I definitely need to consider future uses for it. Overall, this was a great Daring Cooks challenge. We enjoyed preparing everything, and finished the evening with a considerable amount of Wii playing with the kids, chatting, and a bit of foosball and air hockey. Definitely a night worthy of repeating. In a large bowl, combine yeast, water, and agave nectar. Stir to combine and allow to sit for about 10 minutes, until foamy. In a separate bowl, combine the flours, gelatine, and xanthan gum. Add the flour mixture, a cup at a time, to the water/yeast mixture, stirring with each addition. Add in the salt and olive oil and stir or knead thoroughly until well-mixed. The dough should be somewhat sticky but firm. Cover with a towel and allow to rise for 2 hours. With wet hands, gently punch down the dough and separate into about 8 rounds, placing each on parchment-lined baking sheets, flattening into circles, about 1/2 inch thick. Cover and allow to rise for another 30 minutes. Preheat the oven to 450 degrees. Place the pitas, one baking sheet at a time, on the lower rack in the oven. Bake for 5-6 minutes or until no longer gummy in the center. Repeat with remaining pitas. Wrap in foil to keep soft. If desired, toast on a dry skillet for a few minutes before serving. Drain and boil the chickpeas in fresh water for about 1 1/2 hours or until tender. Drain, but reserve the cooking liquid. Puree the beans in a food processor (or mash by hand), adding the cooking water as needed until you have a smooth paste. Add the remaining ingredients and continue to puree in food processor until incorporated. Adjust seasonings to taste. Toast cumin seeds for a few seconds in a small frying pan. Crush with mortar and pestle or spice grinder. 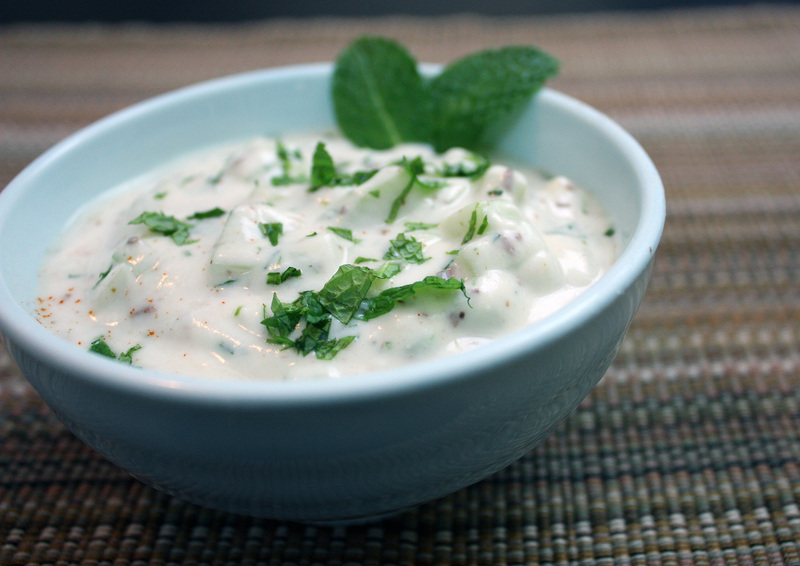 In a bowl, stir yogurt along with cumin, garlic, cilantro and mint. Stir in cucumber and sprinkle with paprika. Chill before serving. Place the drained chickpeas and the onions in the food processor fitted with a steel blade. Add the parsley, cilantro, salt, chile powder, garlic, and cumin. Process until blended but not pureed. You want it to look like crumbs. Sprinkle in the baking powder and flour and pulse and stir. Add the egg and stir in. 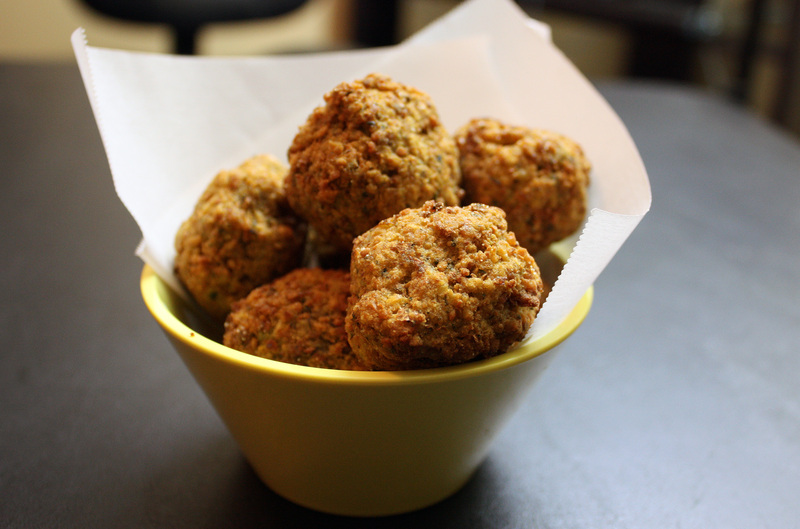 You want the falafel to form into a ball and no longer stick to your hands – if it does, add a bit more flour. Place in a bowl and refrigerate for several hours, covered. 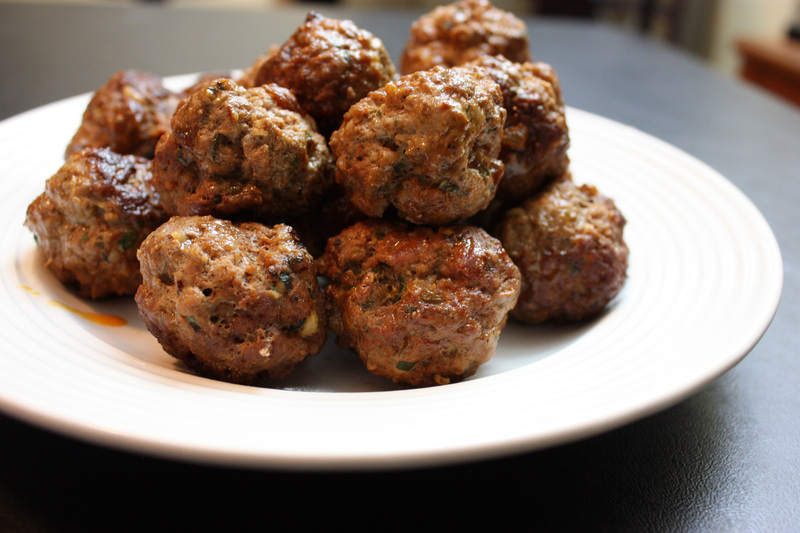 Form the falafel mixture into balls about the size of walnuts. Heat 3 inches of oil to 375 degrees and fry each ball for about a minute, or just until golden. Drain on paper towels. Serve with cucumber raita. Preheat broiler of oven (or grill). Prick each eggplant with a fork several times. Char the outside of the eggplants all over under the broiler or on the grill until they look wilted, turning every few minutes. Turn the oven down to 375 degrees. 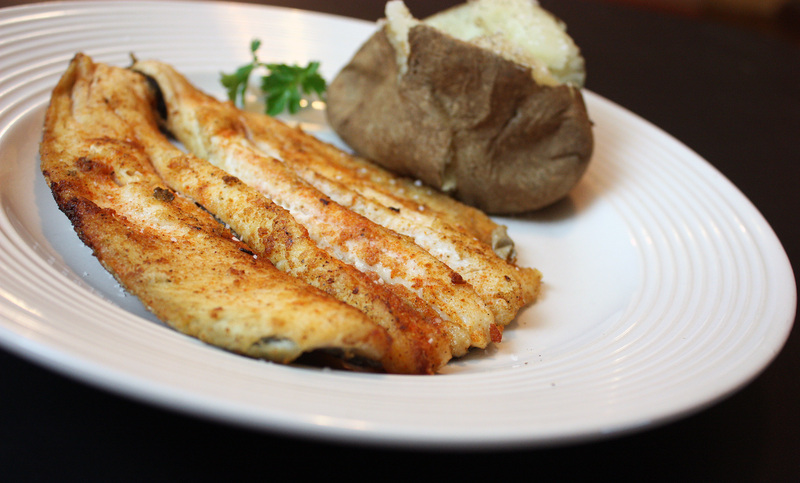 Place eggplants on a foil-lined baking sheet and roast for about 20 minutes. The eggplants should be completely soft. Remove from oven and let cool. Split the eggplant and with a spoon, scrape out the pulp. 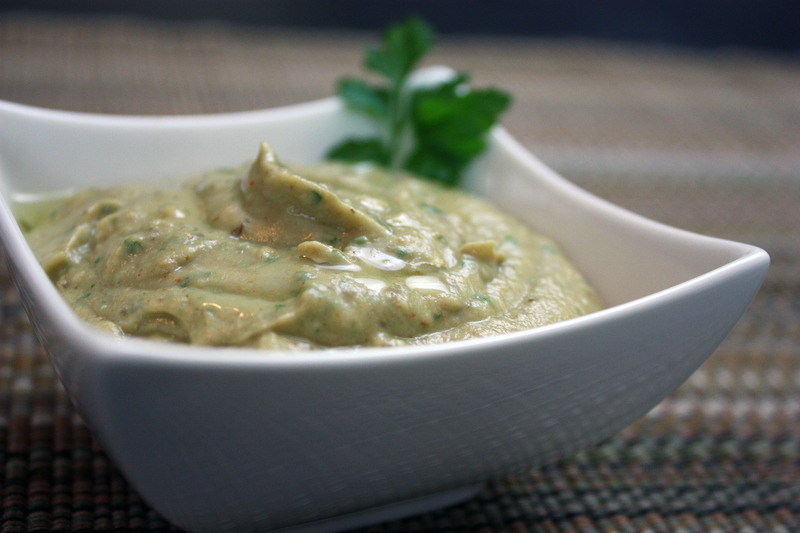 Puree in a food processor, along with the remaining ingredients, until smooth. Adjust seasonings as necessary. 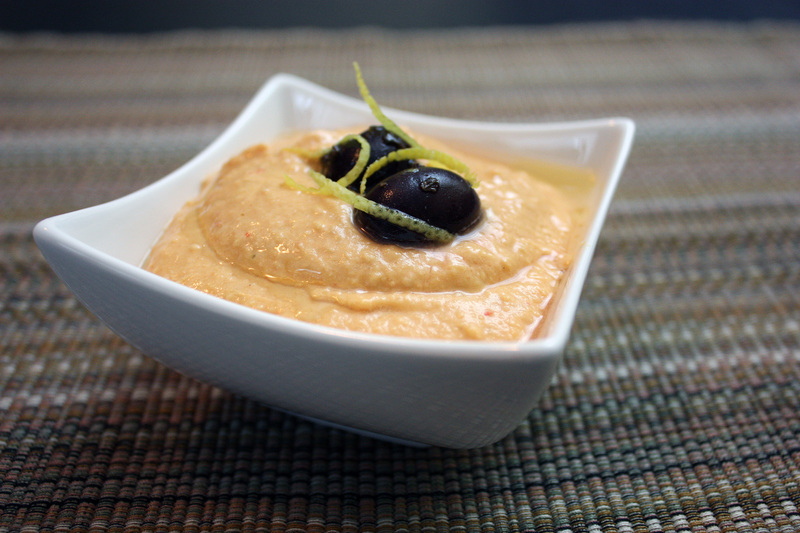 Serve with carrots and celery (as I did) or with gluten-free pitas. In a large bowl, mix the lamb, mint, onion, garlic, paprika, cumin, coriander, salt, pepper, and cayenne. Form into meatballs about 1 1/2 inches in diameter. Heat 1 tablespoon of olive oil in a large skillet. Add the onions and saute until golden brown, about 8-10 minutes. Remove and keep warm. Add the second tablespoon of oil to skillet. Working in batches, saute the meatballs until just cooked through, 8 minutes. Keep warm. Reserve skillet when meatballs are cooked. Add red peppers to skillet and stir for 1 minutes. Add pomegranate juice and bring to a simmer, scraping up browned bites. Cook until reduced to 2/3 c, stirring occasionally, about 3-4 minutes. Mix in parsley. Season with salt and pepper. Transfer to a small bowl. 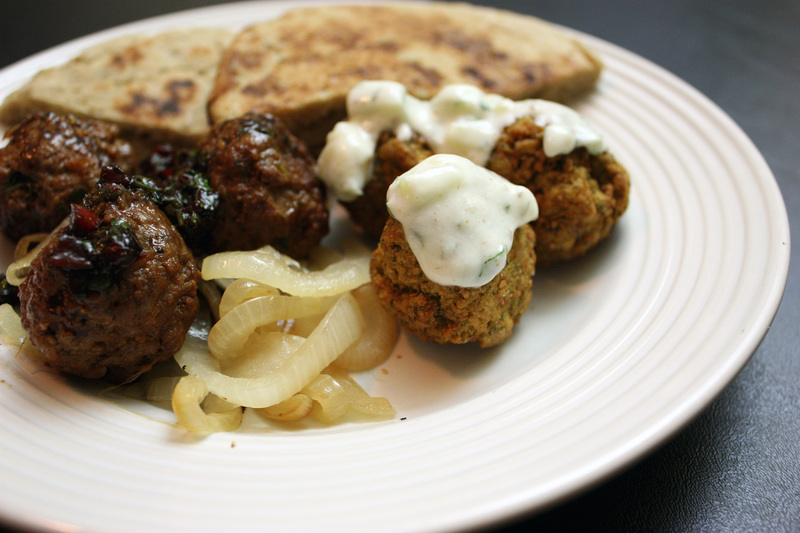 Serve meatballs and onions in pitas with muhammara sauce spooned over.